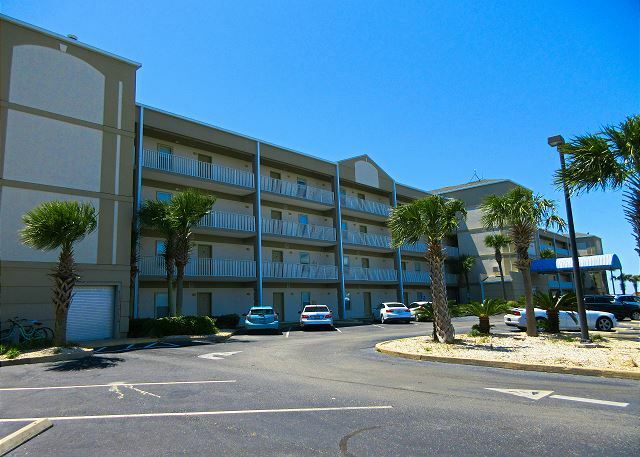 This cozy 3rd floor 2 bedroom, 2 bath unit sleeps 5. 2d time we visited one of the Beach Club properties and Inn 309 was the best. Wonderful staff...professional and responsive to all our needs. We'll be back for sure. It was great.. The condo was beautiful very clean and large, pools were crystal blue, property location very satisfied... I highly recommend this property..
Nice location in a less crowded beach environment. Apartment was clean and comfortable with basic living requirements. The location is also close to some nice shops and restaurants. Louis B from Chi Ridge, Illinois does not recommend this vacation rental. The rates will double with damage waiver and cleaning fees(add $150), and you will end up doing most of the cleaning. You are asked to strip the beds, gather towels, do the dishes, take garbage to dumpster, and start a load of laundry before you leave. All with the threat of extra cleaning fees if you do not. So with no damages and me doing 90% of the cleaning why the $150? I had to get up 2 Hours before my 5am departure to accomplice everything on the list. Also smoke alarm was going off when I checked in and the front desk gave me four batteries and told me I might as well replace all batteries in the unit. Not great. Nice view from balcony and unit was clean enough when we arrived. nice clean room, fluffy couches and chairs, washer, dryer, beautiful 3rd floor view, more restaurants, all in all my wife and I needed the quiet time alone and the INN provided that. a guest from Baton Rouge, LA does not recommend this vacation rental. This condo is just okay. We've stayed at better condos at The Inn over the last few years. There was no table on the balcony. We missed eating breakfast and lunch out there. Very disappointed. Also, the towels are tiny. We are not big people but it took at least two towels to dry off. Kitchen utensils, pots, pans could use updating. I bought brownie mix but couldn't make brownies because there was no pan to use. We won't stay here again...there are nicer condos at The Inn. Love the ease of renting and not having to deal with a bunch of folks we came in at a crazy late time and left at a crazy early time. Plenty of instructions of what was expected. Clean! Well outfitted. Safe. And most of all secluded area. With nothing to do but chill! We spent 3 nights in our wonderful rental with perfect beach view. It was clean, well stocked and maintained. 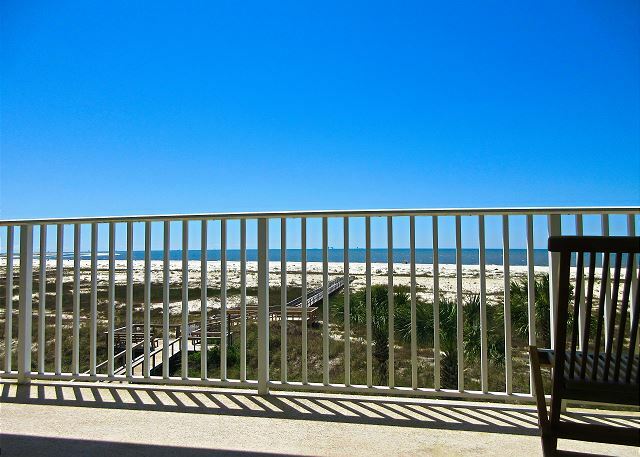 Our family enjoyed our 4 night/5 day stay at this cozy condo in Dauphin Island, AL. We visit the Island every summer, and it was our first time staying at The Inn. It is a short walk to the beautiful beach! The beach is clean and perfect for little ones. Our 1 and 4 year old loved the beach and the two pools The Inn offers. We will definitely be back! Our accommodations were as described. Very well kept property with great customer service. 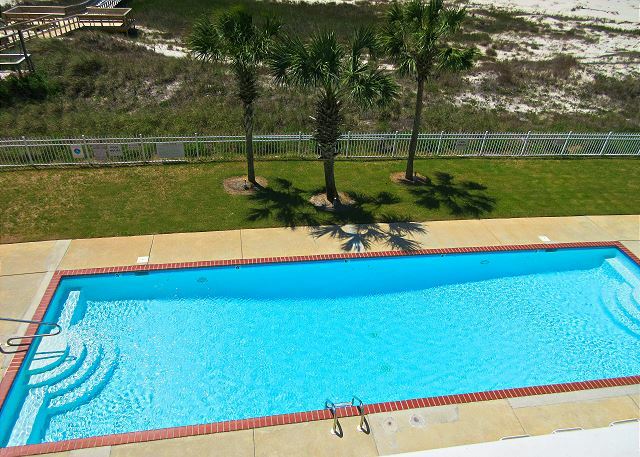 Two large pools to choose from. Centrally located with quick access to restaurants, gift shops & grocery store. We have stayed here multiple times and even in peek season the beach is never crowded. It adds to the low key relaxed atmosphere one should experience while at the beach. My only suggestion would be if you have bad knees to request a condo with ADA toilets. The ones in our room were not even standard height & with bad knees it makes it difficult. For the second year in a row we have spent a week at the Inn on Dauphin Island. We loved the laid back atmosphere, southern hospitality and the great wether. We had an amazing time and will be back. Loved it!!!! Enjoyed the condo. Great beds and all the amenities of home. Walking distance to shops and restaurants. Beautiful view from the balcony. TV's are box kind but decent. Staff at the Inn are so helpful. Great place for a wonderful vacation. This condo is lovely and includes all the amenities of home. 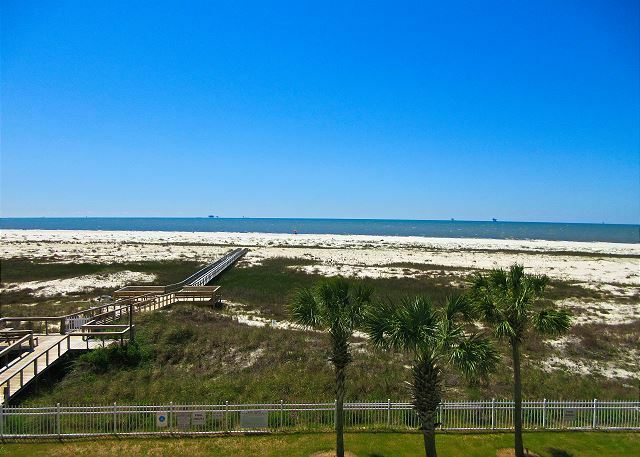 The view of the gulf is priceless from the 3rd floor and is walking distance from local shops and restraunts. There is alot of furniture in small places that creates the need to move things around a bit to navigate the rooms and perhaps replacing the existing TV with a larger flat screen TV would also enhance the condo. This condo is very very nice and comfortable. It is supplied with all the amenities of home. 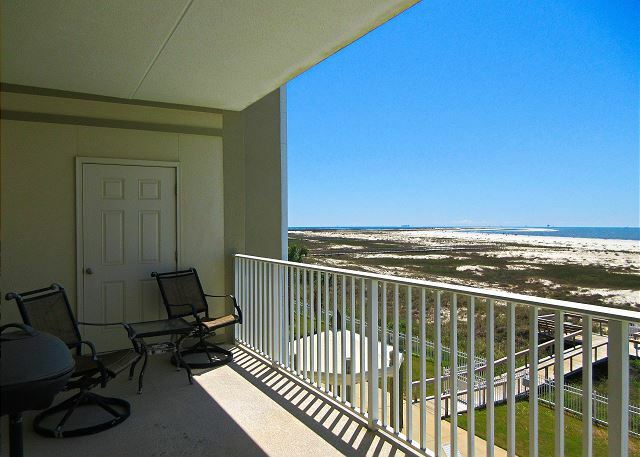 LOVE the third floor view of the gulf. Very close to shops and restraunts along the boulevard. We enjoyed our stay here and will plan to return next winter. Before I booked our getaway, I did what all of you are doing, research. Let me say that if someone gave away a Mil $, some troll would find something to gripe about. If you want peace, a time of joy, and to unplug from busyness, you are looking at a great place. If you want commercialized and crowded, go somewhere else. Everything you need is here, except some local shop owner may dare to remember your name and say hello. 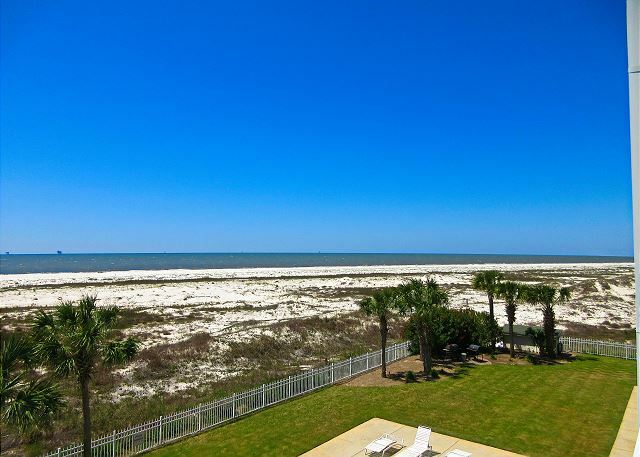 If this property bothers you, then you need a longer vacation than you think. This property, the room, the environment, and the people were great. Lovely condo. Great view. Nice experience overall. Nice greeting from staff - very friendly. Very professional. We had a wonderful time during our stay @ Dauphin Island. The relaxing, laid back atmosphere was fantastic. Fishing, swimming, site seeing was our agenda for the week. we were never on a schedule so we just moved about when we felt the need to do so.Other than a couple issues spare bathroom toilet being loose, the electric grill had a short in the cord, our stay was prefect. neither of these items hampered our stay and when I told the property manager about it, he said he would fix it. Thank you Tim and all the staff at the Inn. I assume the sea turtle eggs have hatched and my only regret is that i didn't stay longer to watch them. See ya next year. Very nice people that make vacationing fun and relaxing. Winter escape with good friends. We enjoyed our stay on Dauphin Island. 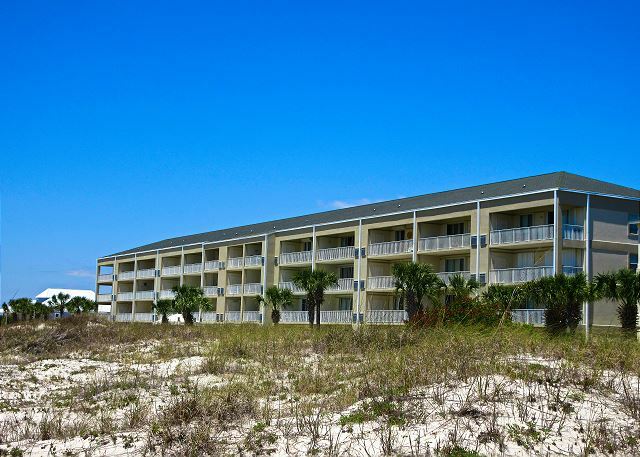 I did stay at The Inn on Dauphin Island last year with a few of my cousins and I did recommend it to my friends. We found the condo clean, but recommend that the two TV's need to be updated to flat screen's and a third one added to the second bedroom. We did ask for a few more comfortable chairs for the balcony, and a table would also be nice on the balcony. The location of this unit is very desirable. We have been going to The Inn for 7 years. Overall it has been a pleasant experience - except when it comes to food preparation. The utensils, pots, pans and serving dishes are woefully inadequate. I have had to purchase suitable it4ems which I have left in this unit for others to use. Cleaning supplies are not provided. No clothes, sponges, cleansers, hand soap in the kitchen. Also there is little shelf space for groceries in the kitchen. The sofa could stand to be replaced. Our negative comments apply to unit #309 only. The guest toilet stool has been unstable (it rocks) for over a year in spite of requests to repair it. 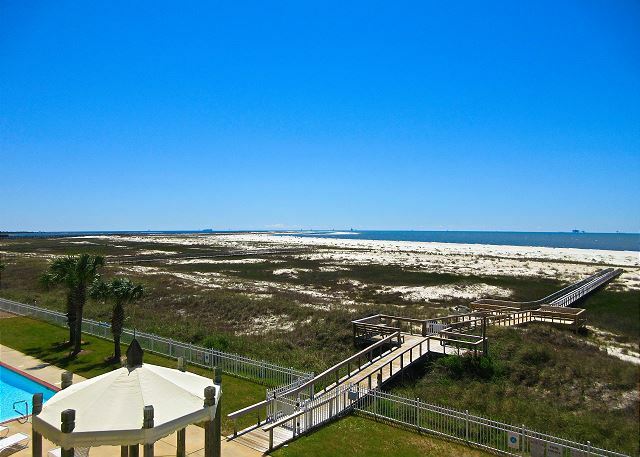 We were originally concerned about the remoteness of Dauphin Island but once we became settled in was not a problem. We loved having the dedicated bike path right out front of the condo. Only complaint was that there is no sheltered place to store bikes downstairs at the condo. We had to move them up to our 3rd floor room to get them out of the rain. The deck of the condo faced directly south. It was sheltered from the winds from the North/East/West. The sun just baked in all afternoon. Not a problem in February but maybe uncomfortable in July. We were there for MARDI GRAS. We enjoyed a parade on Dauphin Island and went into downtown Mobile for two night parades. The parades are very family friendly and we had a blast. Enjoyed our stay so much we booked another snowbird experience for next year. Everything was clean and in working order. We looked at previous reviews and took a good teflon skillet for eggs. Staff was pleasant and cordial. I called en route to tell them we would be later than planned and they put the keys in the late arrival box. If your goal is to get away from hectic life this is the answer. I highly recommend the stay feel the pools could have been maintained a little better but still no real complaint. We enjoyed our stay. There are a lot of unique little shops the office staff was awesome. The condo was neat and any issues that came up was addressed ASAP !! We would stay there again!! It was very good.The Baseboards however were filthy and my wife had to get down on her hands and knees to clean them.Also, the kitchen lacked certain items. No decent fry pans,no covers,no tongs, etc. We enjoyed our stay at the condo (very quiet and relaxing), but it wasn't perfect. They did not leave a key at the desk as should have been done for after-hours check-in. We called a local employee and they hurried out with a key. They were very gracious. It looks like the sheets were not changed on one of the beds - we washed them ourselves - and the floor needed vacuuming and the patio door needed cleaning for a good view. The staff were very pleasant and helpful although they seem to have some logistical issues. Furnishings were nice. All in all, it was a good stay.